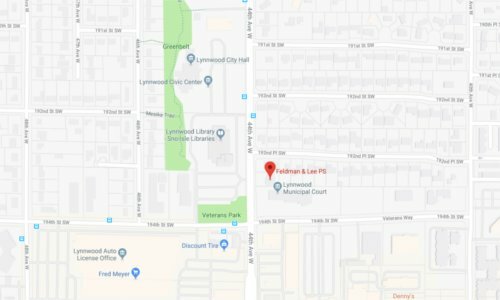 The team of Feldman & Lee in Lynnwood, Washington, is multi-disciplined and experienced in many different legal matters, from criminal defense to family law cases. Whatever your case, we will devote our full focus and resources to it to work toward the best possible outcome for you and your family. When you are charged with a criminal offense in Washington, it can jeopardize many areas of your life, from your family relationships to your career and even your right to carry a firearm. If you have recently received a summons, were arrested or have already served jail time, you have questions that deserve answers but may not know where to go from here. It might already seem as if the system is out to get you, so you don’t want to make the mistake of not having an experienced and interested lawyer to help you. In criminal cases, it is crucial for you to understand all your rights and have an attorney who will listen to you, and you need to know the potential outcomes of your case so you can prepare yourself as much as possible. We have more than four decades of experience in criminal defense, and you will receive an honest assessment of your case and what you may be facing. We will work with you to shape a defense strategy that is in line with your wishes, and our multi-disciplined approach and resources allow us to work on getting you the best possible outcome. It can be argued that family law is one of the most emotional and stressful areas of law because of the impact it may have on entire families and personal relationships. With cases such as divorce, child custody, child support and spousal support, Washington family law cases tend to involve a high level of emotion, making it even harder for those involved in them to make tough choices without help or a full understanding of their cases. Our Lynnwood Feldman & Lee team knows how important it is for our family law clients to have a clear and accurate picture of their cases because that is the only way they can make informed choices on such important matters. We will make your case our focus and will be available to handle time-sensitive matters and emergencies that will impact your daily life. With us by your side, you will know what your real options are and what the potential cost of your case is so you’re not faced with added surprises during such a difficult time. We work to develop a long relationship with our family law clients so we are available and already familiar with your case when you have to deal with related matters down the line, such as child support or custody modification. Spousal support and child support impact both the payer and payee on a financial level. No matter which party you are, it’s important to have a support order that is balanced and fair while addressing the needs of who it is ordered for. We will evaluate your support case and work to make sure the final order is what it should be when all aspects are considered. Your child is the most important person in your life, so it’s not surprising that you only want the best for him or her. Chances are the other parent feels the same way, which is why child custody matters can be complex and fraught with emotion. In these cases, it’s important to have an experienced attorney on your side who will listen to your wishes and help you resolve the matter. Divorce can go many different ways, from smooth sailing to incredibly heated. In an angry divorce, you need to make sure you are protecting yourself because your spouse can harm you by doing things like running up joint debt or selling off assets. In a tense divorce, you need to have legal help in place before you’re left dealing with a mess. With a peaceful divorce, you still may be left with questions about areas like property division and child custody, and that is also where Feldman & Lee comes in. We will answer your questions and help you settle your divorce. We are also fully prepared to go to court to defend your rights if the situation calls for it. Whatever your family law matter in Washington is, Feldman & Lee is ready to act as your ally and guide you through the legal system. With us, you will always know where your case stands and have someone ready to answer your questions and hear your concerns. When you are injured because of someone else, it can have devastating effects on your life. Instead of focusing on getting better, you may find yourself worrying about medical bills and all the money you’ve lost because you had to miss work. With so much going on, the last thing you should have to deal with is all the worry and stress your financial losses from the injury are causing and what that is doing to your life and your family. We are here to tackle your personal injury case and work toward getting you the compensation you deserve. Our team understands that you need time to rest so you can fully recover, and we are prepared to handle negotiations with insurance companies and take your case to court if necessary to defend your rights and make sure that all the responsible parties are covering your losses. At Feldman & Lee, we take the recovery of our personal injury clients seriously, we do the heavy lifting for you during this difficult time. Slip and fall accidents are sometimes treated as a joke in the media, but the truth is that you can seriously injury yourself when you fall. Falling down damaged stairs because a landlord didn’t bother to do proper maintenance or slipping on ice because a business owner didn’t keep up on his responsibilities is not your fault, and you should not take losses or pain related to such a fall lightly. Even the most friendly-seeming dogs can snap, and when they do, people suffer as a result. Dogs bites can leave serious injuries behind and cause victims a lot of distress. When a dog owner fails to control his or her animal and you suffer as a result, you have rights. Bus, truck and automobile accidents are incredibly common everywhere, and Washington is the site of many each year. Any type of auto accident can leave victims with serious and long-lasting injuries or injuries that prevent work and other daily life activities for some time. Unfortunately, insurance companies often seek to settle these cases as quickly as possible to save money, and that tends to leave the victims with the short end of a stick. Many different types of scenarios can lead to you being injured because of someone else’s behavior or failure to live up to their responsibilities. You should not have to worry about paying health care bills or making up for lost wages while you try to heal. Feldman & Lee will advocate for you while you work on what’s important: healing as much as you can and living your life as you did before you got hurt.